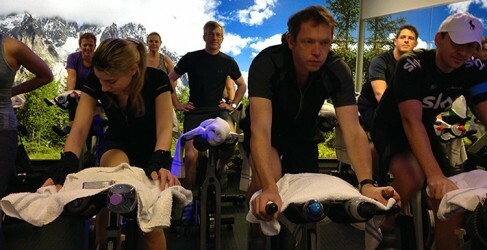 SpinAddikts is the first private indoor cycling group in London which was set up in 2004. Within a year of moving to London from the US, Frances had already attracted a core group of fitness enthusiasts including recreational to competitive athletes. Heart rate monitors are used to monitor performance within appropriate ranges and to efficiently program exact training parameters. Newcomers are welcome and Frances will help those who are new to the group to modify the workout, or they can train with Frances privately on form and technique, and to build an aerobic fitness base before joining the SpinAddikts team.